Jobu previews the 2012 New York Giants. The Giants’ season opener really cannot come at a better time for me. With the Yankees having officially blown their ten game lead over the Orioles as of last night, it’s nice to know that I have something positive to look forward to in September. That’s right, readers. The defending champion New York Football Giants kick off their season on Wednesday night against the hated Dalls Cowboys. If you’ve been reading or watching any major sports network lately, you know that most teams are picking the Eagles to win the division, followed by the Cowboys and then the Giants. No respect, I’ll tell ya! Anyway, here’s how it’s going to break down for the G-Men this season. Eli Manning had an MVP-type season last year. At the beginning of the season he went out and told the world that he was an elite NFL Quarterback, and then he went out and proved it with some pretty elite numbers (4,933 yards, 30 TDs, second Super Bowl ring). The key goal for him in 2012 is to prove that those numbers were a sign that he’s finally maturing into a top-grade QB, and not a fluke. 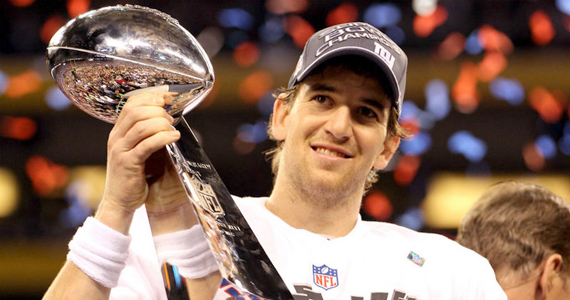 Manning lost one of his weapons this offseason when Mario Manningham signed with the San Francisco 49ers. 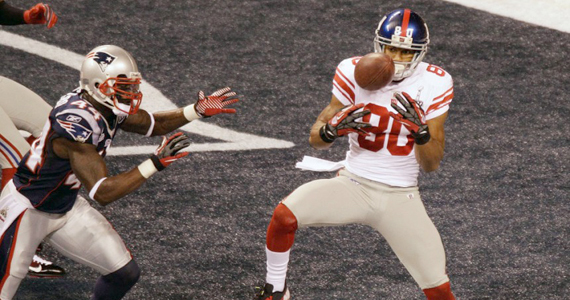 However, the Giants still have Hakeem Nicks and last year’s breakout star Victor Cruz, which is a good start. They also signed Martellus Bennet to play tight end, which should be a good improvement for a team that lost two tight ends to major knee injuries during last year’s playoffs (don’t worry, a man named Bear stepped up). Bennet’s sure hands should help the Giants afford the time it’s going to take for someone, either Domenik Hixon, Jerrel Jernigan (he’ll also be returning most of the kicks) or Ramses Barden, to step up and be that third receiver. I think Jernigan is the one to look forward to out of this group, although Domenik Hixon is currently listed as the third receiver. The running game also lost someone to the 49ers, as Brandon Jacobs also signed with the team the Giants beat in the NFC Title Game last season (I guess if you can’t beat them, sign their scraps?). This will put a little more pressure on Ahmad Bradshaw to stay healthy, although he didn’t last year and Jacobs wasn’t that good either. Remember when Jacobs and Derrick Ward both rushed for over 1,000 yards a couple seasons ago? Those days seem to be gone. That is, unless, rookie David Wilson (Virginia Tech) steps into that Jacobs/third down back type of role. The Giants believed enough in Wilson to take him in the first round, so hopefully he can contribute. The main question for the Gants’ offense will be if the offensive line. The Giants running game has suffered the last couple of seasons, and it’s no secret that the O-line is basically to blame here. Right guard Chris Snee has been one of the few bright spots there, so here’s hoping guys like David Diehl, David Baas, Kevin Boothe and Will Beatty/Sean Locklear step up and protect Eli and the running backs. There’s no question that the Giants’ bread is buttered by the defensive line, especially the ends. 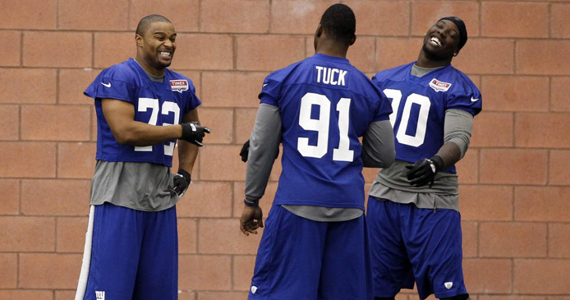 Osi Umenyora and Justin Tuck need to prove they can stay healthy, but their talent is not a secret. The big surprise last season was the breakout play of second year end, Jason Pierre-Paul. Paul took full advantage of the injuries to Tuck and Osi by having a monster season, registering 16.5 sacks, making the Pro Bowl and blocking one huge field goal against the Cowboys in the teams’ first meeting. What a guy! Just how big a role will these three men play in the Giants repeat hopes? Well, when they were all healthy last season, the Giants had a tough time losing. This included the six game winning streak they ended the season on. Those guys have to stay healthy. I mean the other members of the line (Linval Joseph, Rocky Bernard) will have to step up too, but the onus is on the Giants’ big three. With a solid linebacker corps elf by Mathias Kiwanuka (LOLB) Chase Blackburn (RLB), Michael Boley (OLB/currently injured), the Giants are pretty stacked in the box. The big question, as usual, is the secondary. Corey Webster has developed into a nice little player for the Giants, but his counterpart, second year man Prince Amukamara, needs to prove that he can get on the field and stay there. He missed sever games last year with an injury, and an ankle injury has already kept him out of the starting lineup. The safeties, Antrell Rolle and Kenny Phillips, are both solid players. Williams is a guy who isn’t afraid to hit, but covers very well for such an unheralded player. I just don’t see what other so-called “news reporters” don’t see in the Giants. i guess they just think the Eagles and the Cowboys are just that damn good. Maybe they are, but bringing back most of a Super Bowl championship not only puts a target on your back from reporters, it puts a target on your whole team. As defending champs, The Giants should be favored. I think they’ll go 10-7 this year. If that’s enough to make the playoffs, watch out for Eli Manning’s clutch passing to send the G-Men to another deep playoff run.